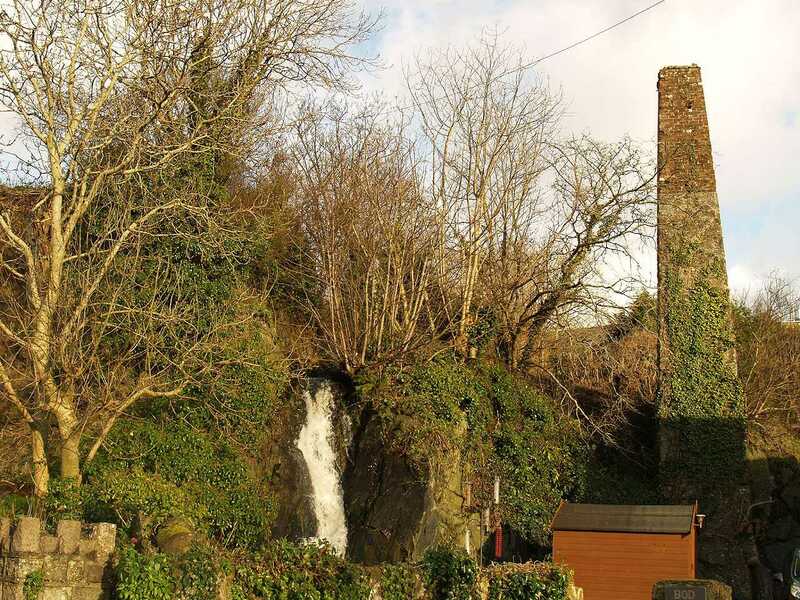 Pentre Berw Watermill - known as Felin Ferw on the Isle of Anglesey (Ynys Môn) in North Wales. 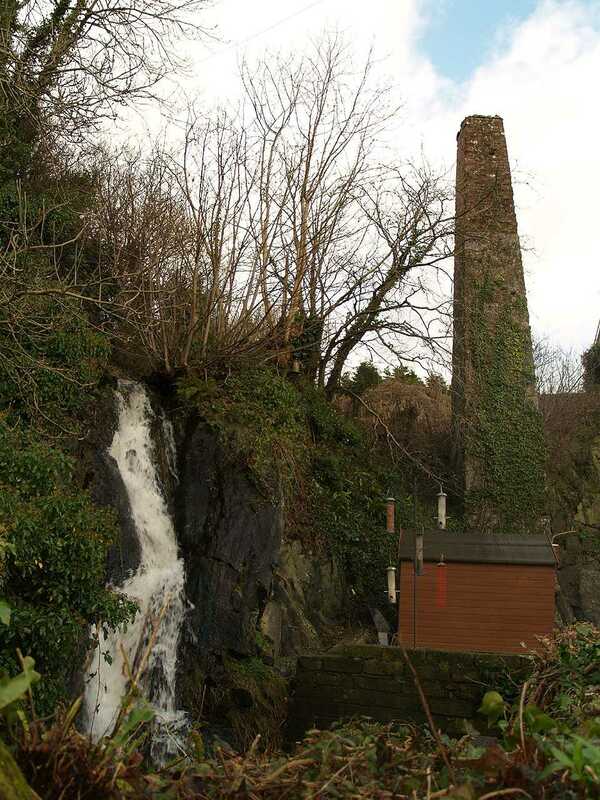 Pentre Berw, Felin Ferw Water Mill - the whole site. 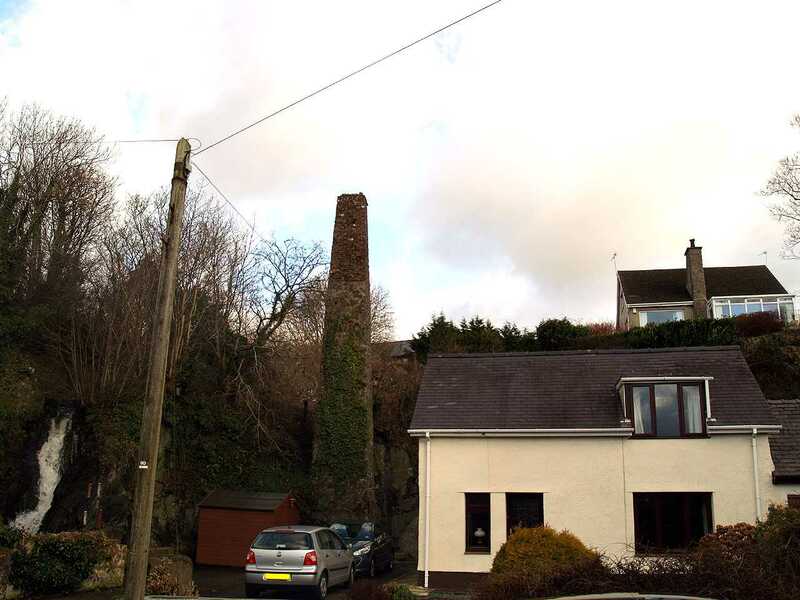 The house and garage on this site now occupies the exact footprint of the demolished water mill. 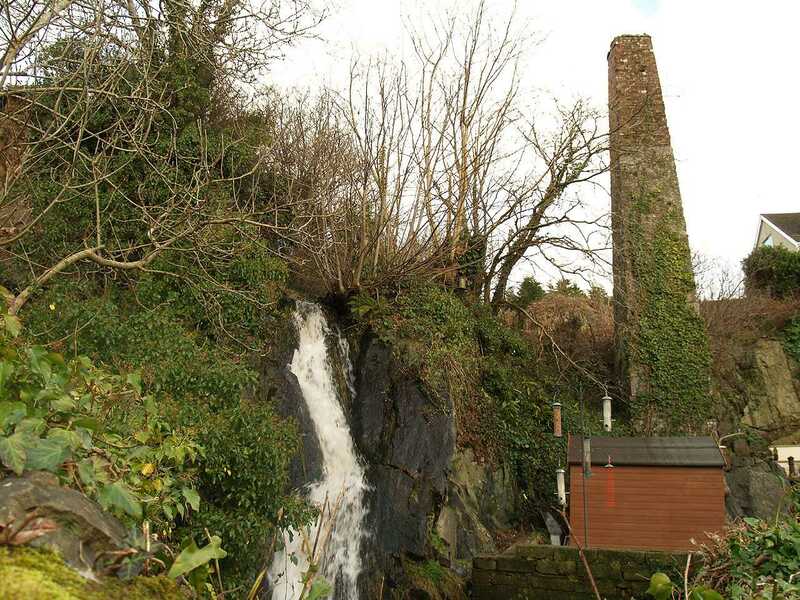 The only two original features that once made up this probably early 19th century corn mill are the water, and the mill chimney. 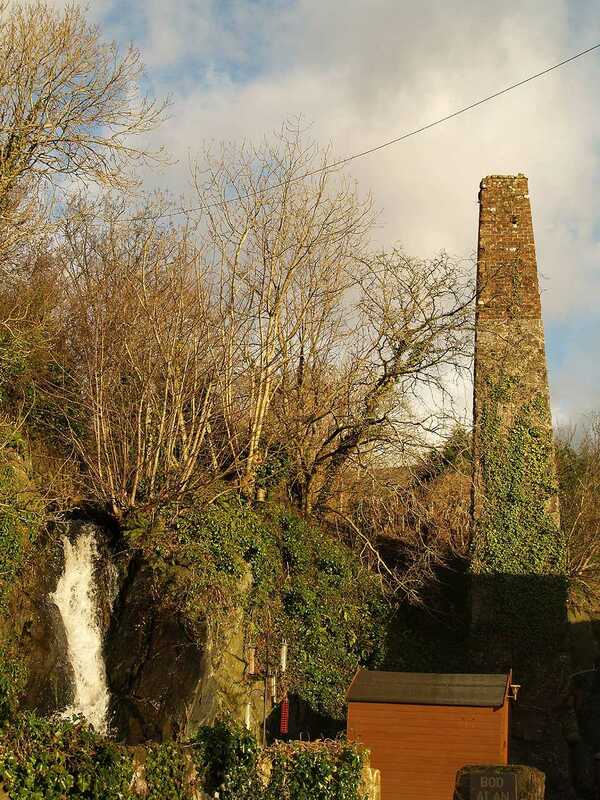 The chimney stands to about 40 feet high, with the lower end having been built of stone, and the top ten or so feet built in brick. 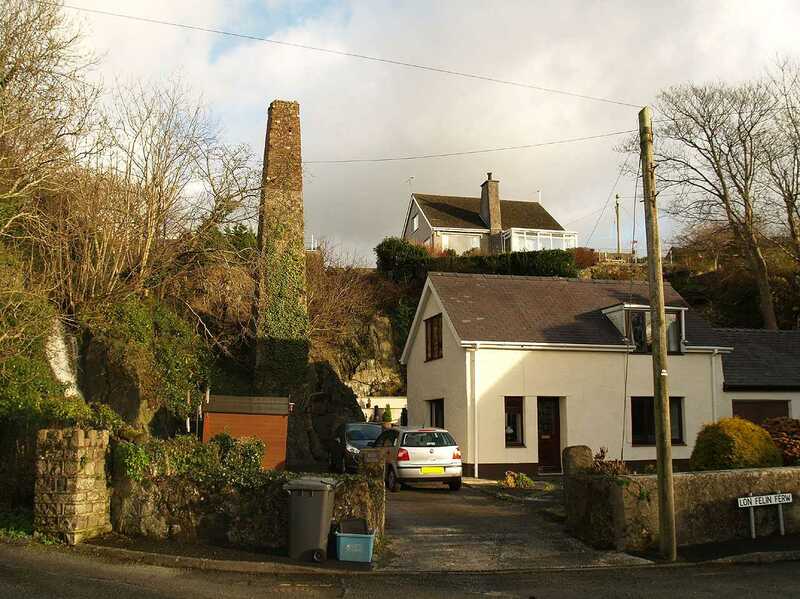 The name on the street sign in the picture above is 'Lon Felin Ferw' meaning 'Berw Mill Lane'. 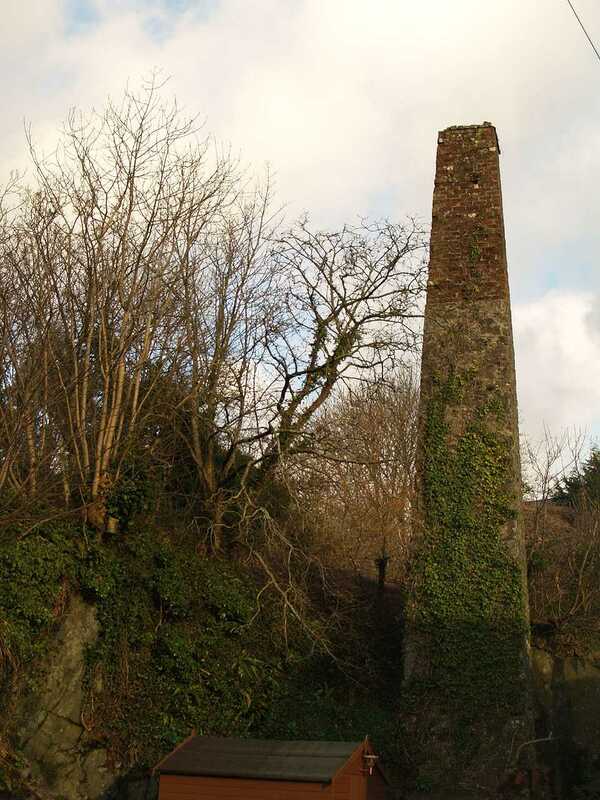 One possible explanation for the chimney (not unique on Anglesey) may have been the later addition of steam power, which would have supplemented the water power, making the mill capable of driving more mill stones, and the chimney would have been the vent for that steam.